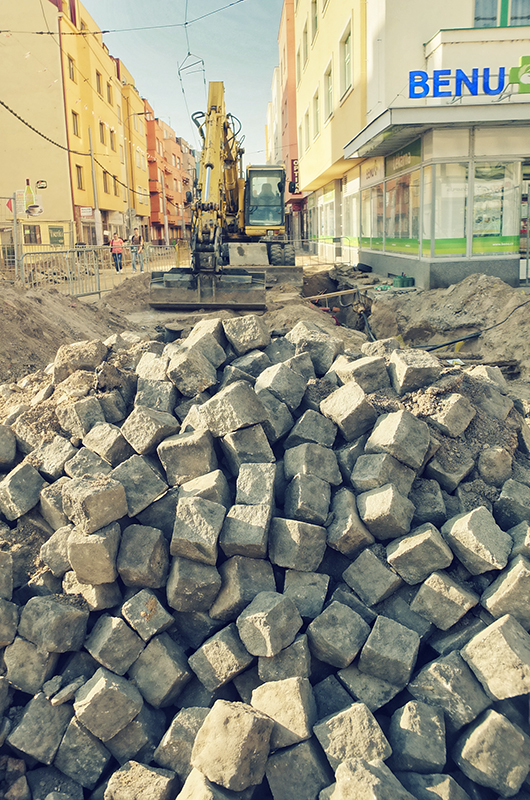 For the past few weeks Trida Miru, the main thoroughfare of Pardubice has been undergoing a bit of a transformation as the local council seeks to refurbish the street and bring it into the 21st century. 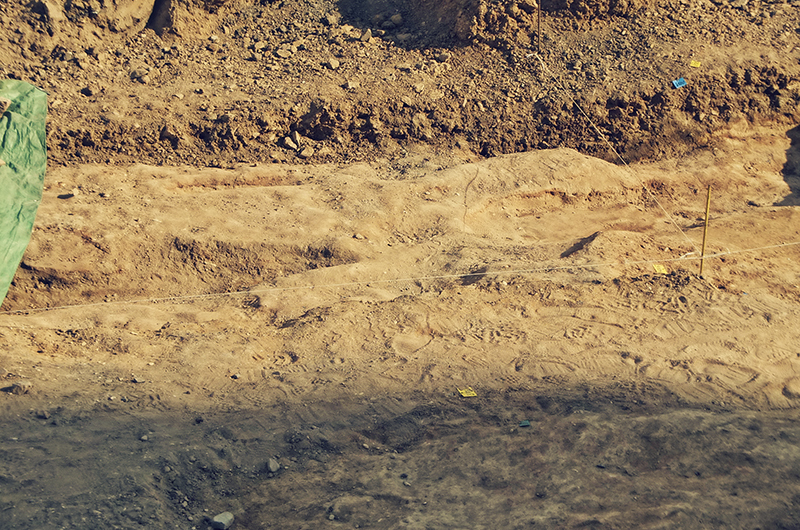 Every day while walking to work has been an adventure of climbing over rough ground and dodging diggers and excavators as you go. 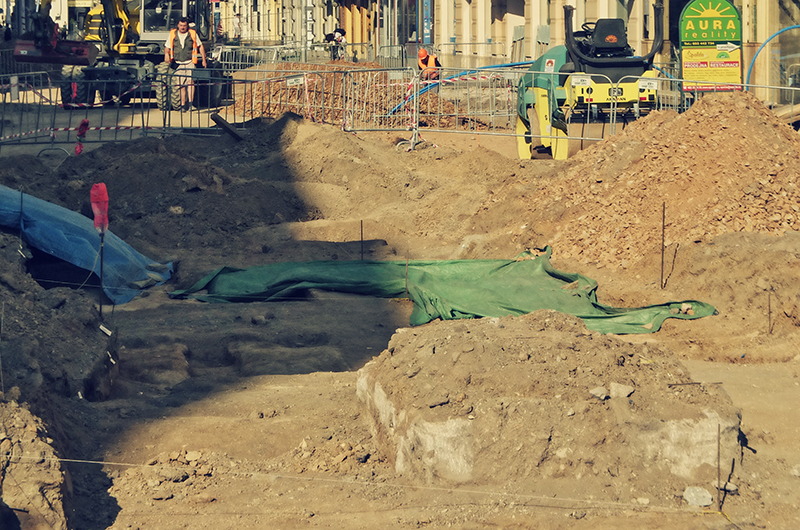 It’s fascinating to see a completely different layout every day as one section is completed, and another hole is dug up next to it. Of course all this construction, or rather deconstruction work has had an adverse effect on local businesses who have seen their customer count dropping faster than Russia and Isreal’s approval rating these days. Local landlords have aimed to combat this by lowering rent for the businesses affected (there’s a LOT of them) but you can definitely see the impact. My favourite spot in Pardubice, Cafe Bajer which I’m in several times a week after work definitely seems quieter now, which is a shame as it’s such a wonderful place, as hopefully my linked article above will attest. The works are expected to continue for several more months and no doubt many businesses will struggle to keep their heads above water before it’s all said and done. The other day while making my way through the obstacle course presented to me that morning, I noticed one of the fenced off areas looked a little different. 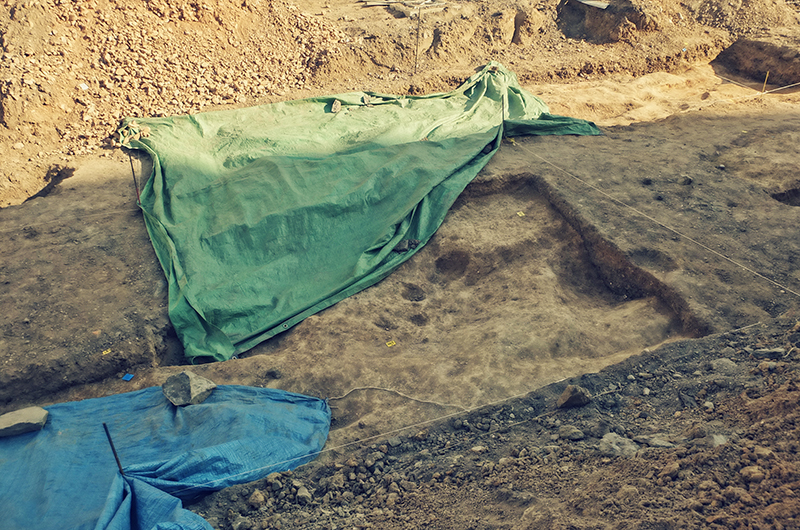 There were numerous small holes where usually there would be one or two massive ones several feet deep. 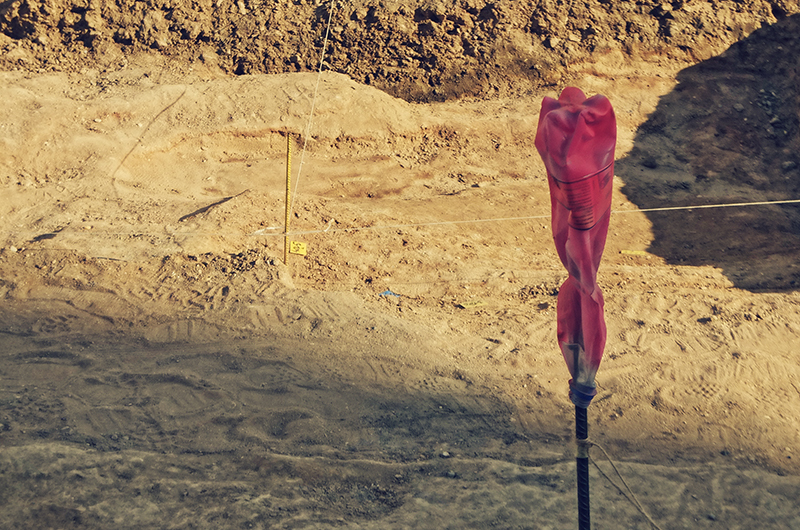 These holes were bordered by string suspended above them, like you’d see on an archaeological dig or the early dig scene in Jurassic Park. “That doesn’t look very scary, more like a 6 foot turkey!”. Aaaanyway where was I? Ah yes, holes and digging and history and what not. 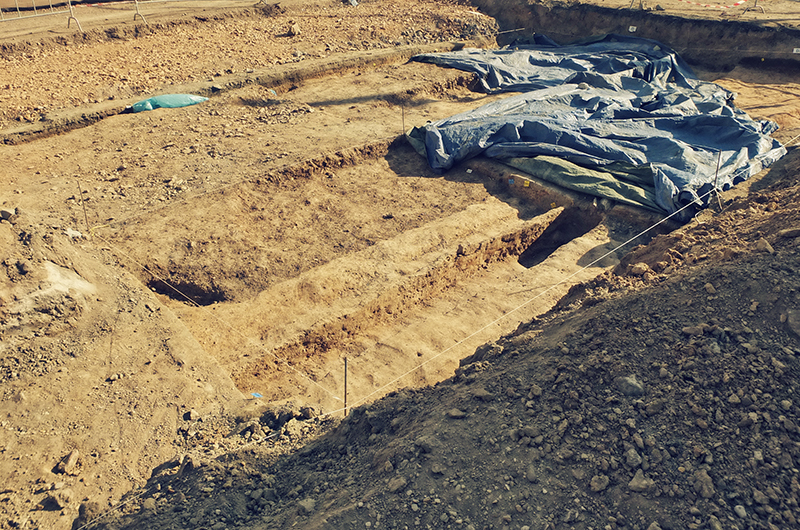 Well it turns out that this particular area that looked remarkably like an archaeological dig-site was in fact just that. Fascinating! On the railing on one side of the site, the local museum has erected a poster explaining what has been recovered from the area surrounding Trida Miru. After a VERY rough Google translate of the poster, there’s actually been some pretty interesting discoveries. Now it’s no Book of Kells or Ardagh Chalice, oh no sir, but certainly interesting all the same. 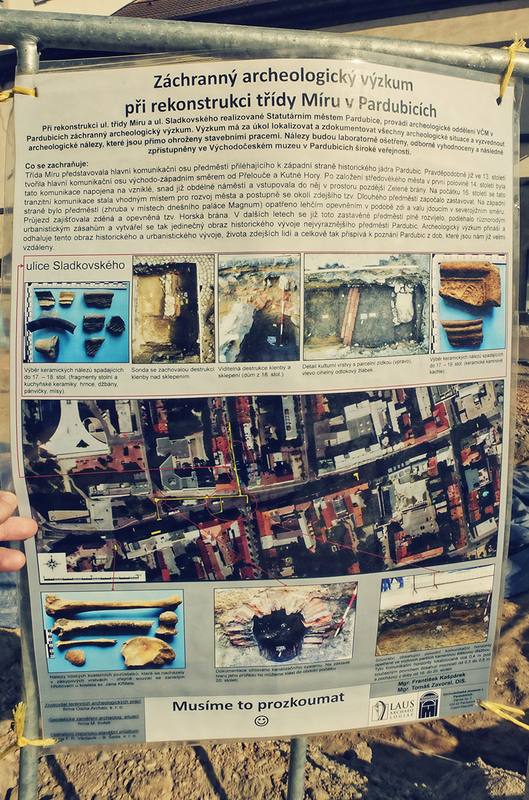 The poster highlights some bone fragments which were found near the McDonald’s restaurant (No McDonald’s aren’t to blame), which are believed to be remains from a cemetery which once stood there as part of the Church of St. John the Baptist. See…..interesting stuff right. I think so anyway as i’m fascinated by the juxtaposition between the present and the past and how everything is layered on top of each other. 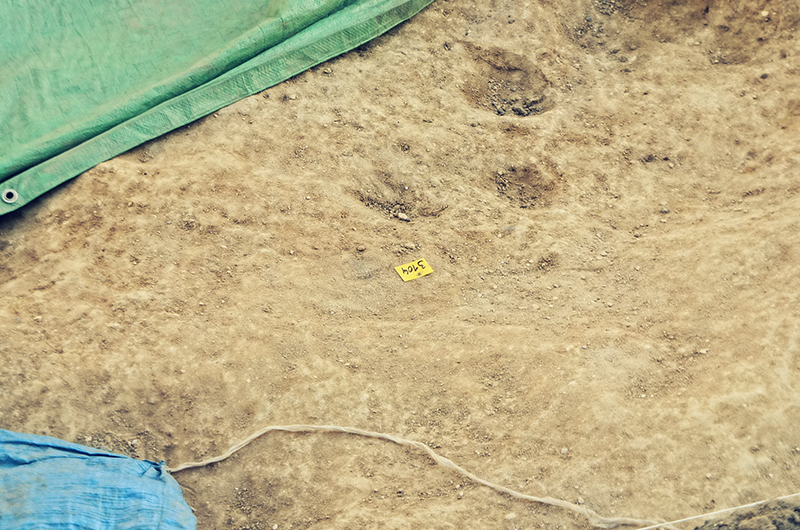 For instance one of the images on the poster shows a layer a number of centimeters deep, which represents approximately four centuries of time! Think of all the different peoples, cultures and events that would have occurred in that seemingly tiny space. A kid can make a sandcastle deeper than that but it won’t have even a pinch of the history in it (except the millions of years of fossils and rock fragments James! Duh!!). Some of the fragments that were discovered date back to the 13th century including pieces of ovens, pots and jars, again that’s pretty damn cool if you ask me. 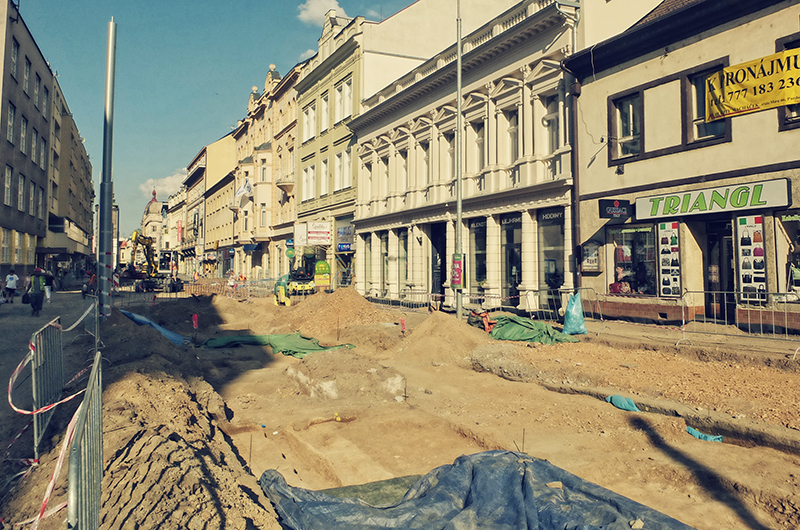 So despite the unsightly appearance of Trida Miru over the next few months, I think it’s great that the reconstruction work has unearthed some of Pardubice’s past while preparing for its future. Will definitely have to take a trip to the East Bohemia museum in the future to see the results of the archaeological digs up close. 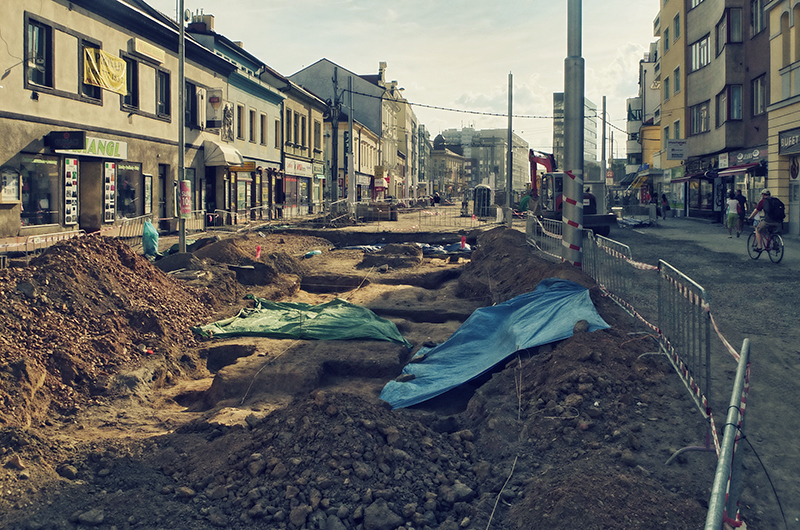 During the reconstruction of peace and trida ul ul Sladkovského Realized statutory city of Pardubice, Archaeological department VCM in Pardubice archaeological research. 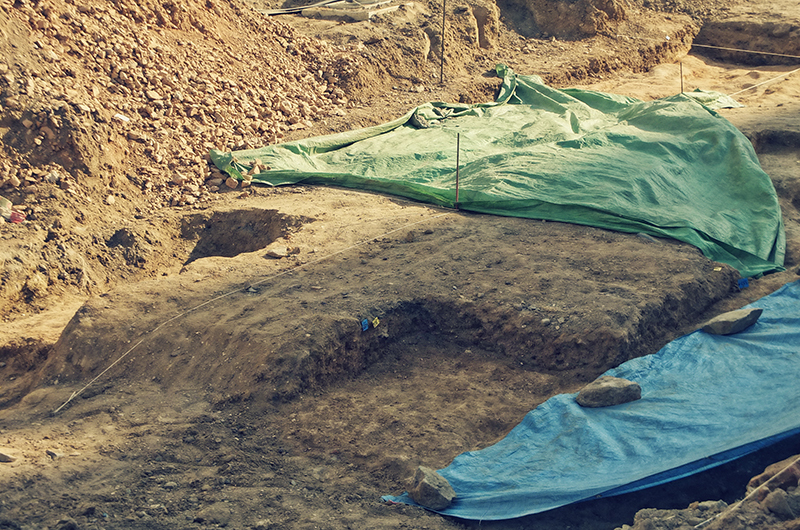 Research is tasked to locate and document all archaeological situation and collect archaeological finds, which are directly threatened by the construction work. awards shall be in a lab, focus, expert evaluation and subsequently accessed in the East Bohemian Museum in Pardubice general public. trida peace represented the main transportation axis of the suburbs adjacent to the western side of the historic center of Pardubice probably in the 13th century formed the main communication axis east-west from Přeloučí and Kutna Hora. 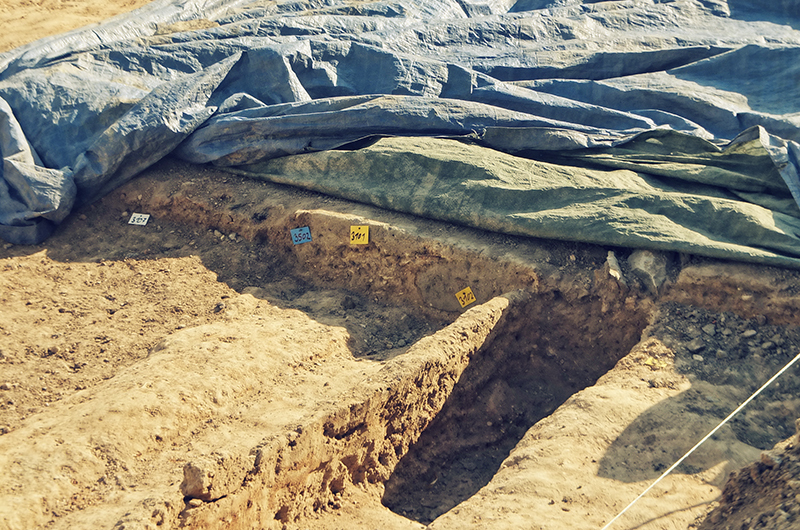 After the founding of the medieval city in the early 14th century was connected to this communication occurred, hopefully oblong square, and entered into it in the area of ​​the later Green Gate. In the early 16th century the transit communications has become more advantageous for the expansion of the city and gradually around the local predmesti began a long pause. On the west side was the suburbs (about the site of today’s palace magnum) measures in the form of lighter fortification wall and rampart in successive north-south direction. Zdena ensured the passage of a so-called mountain fortifications Gateway. In later years he has made this stop predmesti pine develop, subject to diverse urban intervention and thus created a unique picture of the historical development of the most prominent suburb of Pardubice. 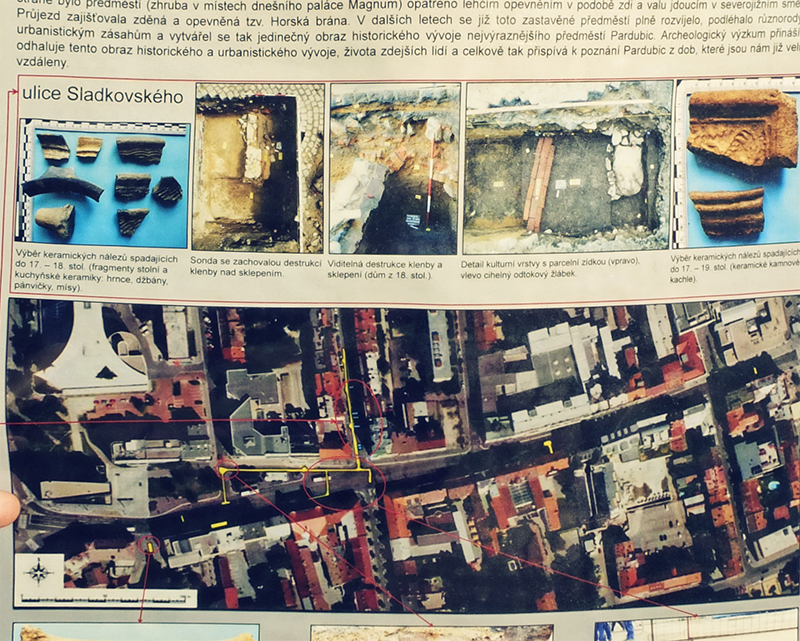 Archaeological research reveals that brings a picture of the historical and urban development, its life of local people, and generally it contributes to the realization of Pardubice times, which we are already very far.